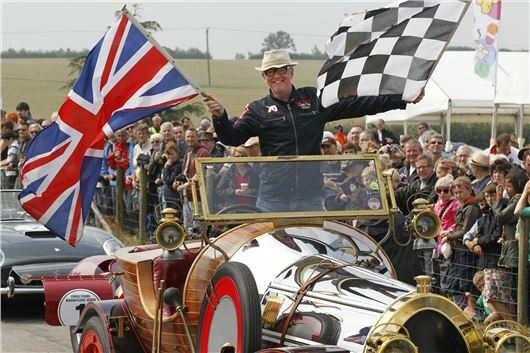 The last tickets for Chris Evans CarFest North and Carfest South go on sale during his Radio 2 breakfast show from 8.00am on Wednesday 30th April. CarFest North will be held at the Oulton Park circuit, Cheshire from 1-3 August, with CarFest South happening three weeks later at Laverstoke Park Farm near Basingstoke in Hampshire over the 22-24 August Bank Holiday weekend. Tickets for both events were put on sale last November during the Breakfast Show to coincide with BBC Children in Need’s Appeal week and sold out almost immediately. However, a number of all ticket types were kept back and these will be released at 8am on Wednesday 30th April. In addition, after positive consultations with the local community, there will be a slight increase in capacity at CarFest South. First conceived by Evans during his show in early 2012, the four hugely successful CarFests staged to date have wowed more than 200,000 visitors and are now firmly established as one of the summer’s most family-friendly and fun-filled festivals. More importantly the fantastic mix of amazing cars, live music, kids entertainment and fabulous festival food – devised by the media star to be his own personal concept of the perfect festival – have raised in excess of £2m for BBC Children in Need. Renowned as something of a petrol-head, Evans brings many great cars from his own collection including his ‘Magnificent 7’ Ferraris and film star Chitty Chitty Bang Bang. Once again there is a star-studded line-up on stage, too, with performances from Erasure, Chas & Dave, Eliza Doolittle, Seasick Steve, Tom Odell, Texas, Simple Minds, Sophie Ellis-Bexter, The Feeling, Scouting for Girls, Jamie Cullum, Jools Holland and many more. For more information on all the bands performing and countless other CarFest attractions, please visit the official CarFest website at www.carfest.org. Snap, at 8.03 I hit the pay button and told they were all gone! we're trying to enter our car in the hill climb does anybody know any contact numbers for carfest not the ticket line pls? ?